Bye Doc. we’ll miss ya! 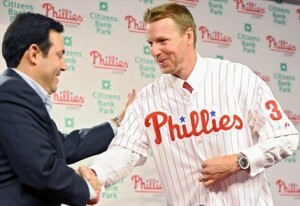 Hope you get the ring that you deserve – my new fave NL team is Philly! Bye Orel. Glad to see the last of you! Hope you enter your next life as a female baby in a fundamentalist Islamic family in Afghanistan who gets pregnant at 14 years of age. Or a gnat on a rat. OK – the latter would be cooler.